Get ready for the Philippine International Pyromusical Competition 2016 that will start on February 13, 2016 and the final show as well the announcement of winners will be on March 19, 2016 at the Seaside Area of SM Mall of Asia in Pasay City. 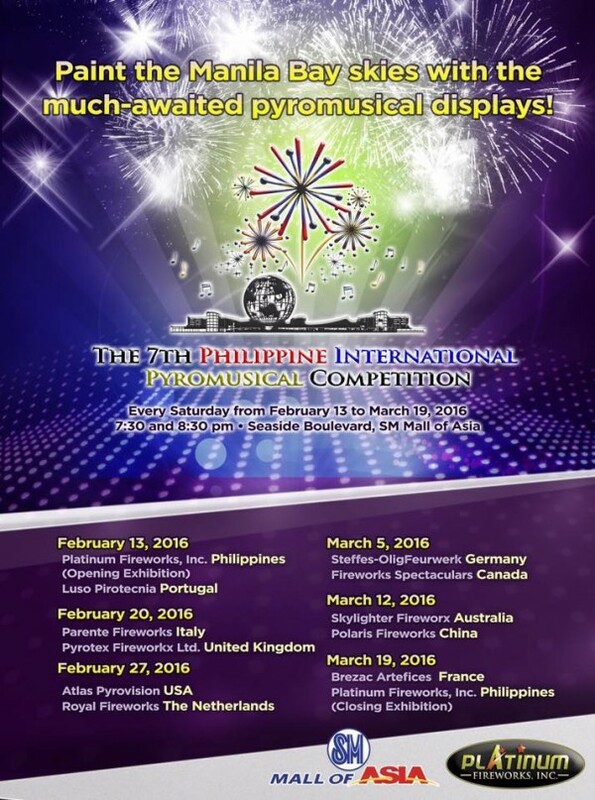 Competing countries for the Philippine International Pyromusical Competition 2016 include Australia, USA, Canada, China, Germany, Portugal, Italy, The Netherlands, France and United Kingdom. Last year winner was Royal Pyrotechnie of Canada beating Pyrotex Fireworx Ltd. of United Kingdom. Who do you think will win this year's competition. 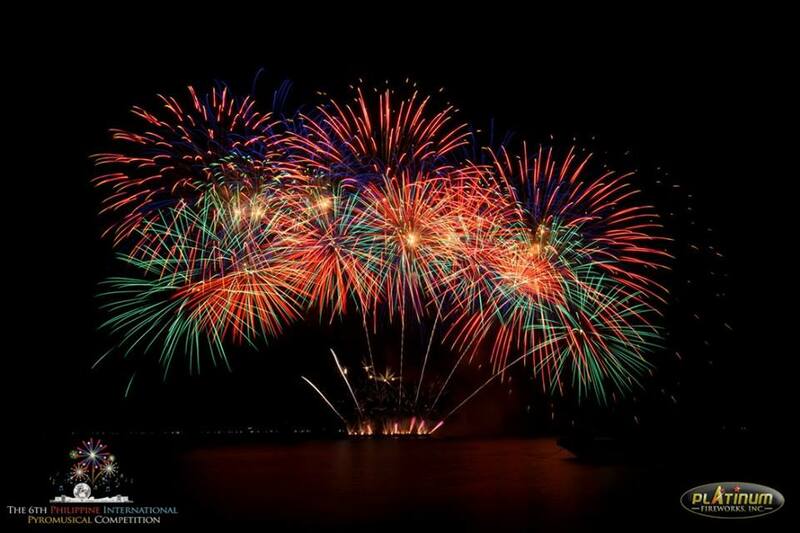 For more details on Philippine International Pyromusical Competition 2016, please visit www.pyrophilippines.com. For ticket price, sponsorship and other inquiries, email them at pipcticketing@yahoo.com.